The “wow factor.” It’s something all hotel general managers want in their properties. And guests gravitate towards these hotels; they desire modern amenities, eco-friendly options, and aesthetically pleasing, spacious rooms. 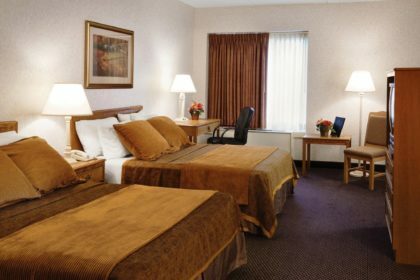 Built in 1977, the Best Western Ramkota Aberdeen is located in South Dakota’s third-largest city. Besides a few cosmetic updates, the 154-room hotel had barely been touched. In 2014, most of the hotels in Aberdeen fell into two categories: 1970s and 1980s construction and brand new hotels. This property’s numbers had neither improved nor declined in the past 10 years. To stay competitive, it was clear the hotel’s interior needed a complete overhaul. 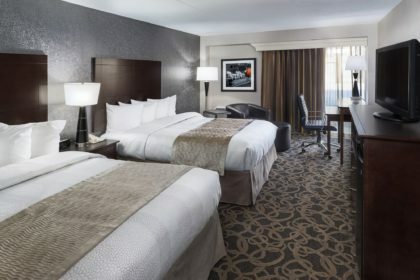 Completely renovating a 154-room hotel is not a small undertaking—but having the right team of people can make a project of this size run seamlessly. Best Western Ramkota Aberdeen’s former General Manager, Randy Grismer, knew that team was us. Most important to Grismer was that business wasn’t interrupted during the renovation. That wasn’t going to be a problem for us—at Regency, we renovate in stages for that very reason. The renovation of the Ramkota Aberdeen was staggered over three years with 15 to 20 rooms done at a time. Those rooms were ready for guests and back in the rotation in four to five weeks. As a rule of thumb, we create two sample rooms to make sure everything fits comfortably. Only after sample approval can renovations begin. Update and modernize the overall feel, both in form and function. Create a design concept allowing the property to compete with other hotels in the market directly. Make the design easy-to-update in the future. A remodel is about finding one thing you can do better than your competition, integrating it into the design, and making it a priority in every room you touch. That, of course, can vary by room type. The king rooms at the Ramkota are now three feet wider than any of their competitor’s rooms—chaise loungers were also added to better accommodate guests staying for business. 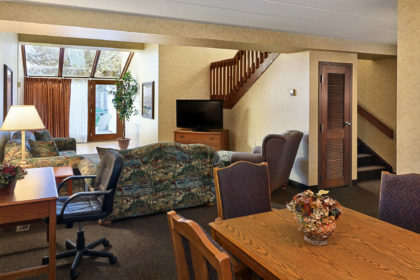 The double queen rooms were designed with a special focus on seating to better cater to the needs of families. Grismer is now the Director of Construction Management for Regency. He works with hotel general managers throughout their entire remodels. Grismer has been in their shoes before and knows how overwhelming a project like this can seem. 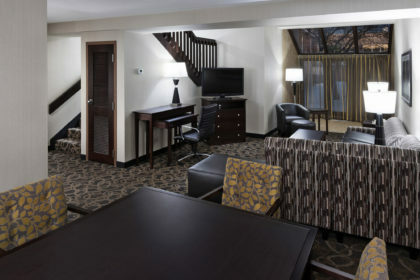 At Regency, we take away the stress of a remodel. We meet with the hotel’s general manager, chief engineer, and executive housekeeper. We then take their input and make a recommendation best suited for their needs and wants. The Ramkota renovation was extensive. A new lobby greets guests upon entering the hotel. 10,000 square feet of event space is brand new. 154 guest rooms and bathrooms have been completely gutted and updated. See more before and after renovation photos. The roughly $3.6 million project started in 2014 and was completed in 2017—and the remodel is already paying off. There’s been a 33% increase in top-line room sales since the last year of the remodel until now. Best Western Ramkota Aberdeen received their first TripAdvisor Certificate of Excellence in 2017. That means guests consistently gave the hotel a 4-star rating or higher. We know the impact of online reviews are invaluable. A study called “Digital State of the Midwest” asked people of all ages how likely online reviews impact their purchase decisions. Across all age groups, 70% reported that online reviews were “likely” or “very likely” to impact what they purchased. The Best Western Ramkota in Aberdeen now has the edge over the competition in their market. Their new "wow factors" are delivering results.